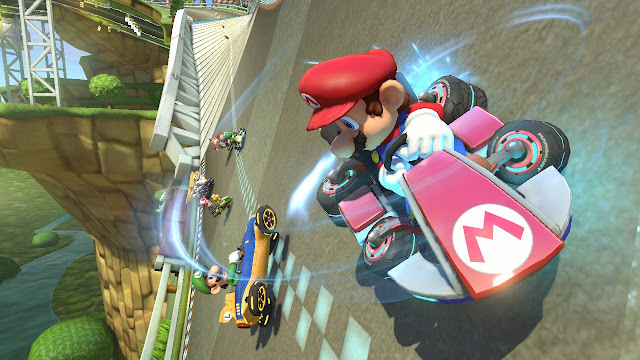 Mario and friends are back in Nintendo's next Mario Kart, Mario Kart 8. The trailer shows us new courses, lots of skidding and the vehicle transformation elements from Mario Kart 7 also seem to make a return. Hopefully Waluigi rightfully returns this time round. Check out the trailer below.